Are You Looking to Learn More About Your Career Options? Numerous studies from the past few decades verify that children the ages of three and four benefit significantly from receiving prekindergarten education. Such advantages result in a variety of aspects, such as improved mathematical abilities, strong language skills, and higher literacy rates. One long-term study from Chicago even demonstrated that children who participated in the program from preschool through third grade were less likely to be involved in or commit a crime and they were more likely to receive a full education than those who did not participate in the program. Even with the trends, teacher shortages in early childhood education are rampant nationwide. This work is ideal for people who have patience, creativity, and adore working with children. Individuals who follow this career path will have a wide variety of employer opportunities; state or government, private child care facilities, or childhood education centers. Job duties will include planning activities and teaching kids how to socialize. Early childhood education is expected to continue to grow as a career for years to come. It is important to note that the salary of each job within the ECE sector will vary greatly based on a wide variety of aspects. Each state and school district within the state will pay their teachers differently. If you work for a private school, you might make more than someone who works for a low-income school district. People who have more education and certificates will earn more than those without higher education or continued education, and they will be qualified for more positions. And work experience will also contribute to higher pay and career advancement. Each job type within early childhood education is expected to grow by 2026. Childcare workers are projected to increase up to 7%. A childcare director can expect an increase of up to 11%, preschool teachers will grow 10%, kindergarten and elementary teachers will continue to grow up to 7%, and principals are expected to grow up to 8% by 2026. Whether you wish to become a preschool teacher or climb the ladder to an administrator position, opportunities will be available well into the future for early childhood education professionals. It is important to note that with each degree you complete, your job opportunities and salary expectations will increase. If you have to keep working while you pursue a degree or if you are the primary caretaker of your children, you can always pursue online degrees one at a time. It is also important to remember that most states require additional certification to become licensed, to maintain your license and to advance your career. Continued education, continued training and research will be a critical part of your long-term teaching career in early childhood education. An associate’s degree is an excellent start to a long and fulfilling career in early childhood education. 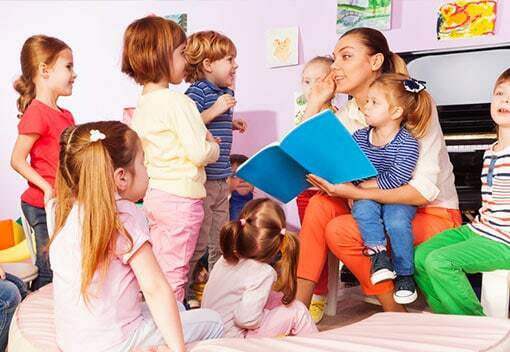 If you do not have any experience, you can work in a preschool or a child care facility, such as a daycare. You might also consider becoming a nanny, in-home teacher, teacher assistant or administrative assistant. If you have experience, you can work your way up to higher positions, such as a director of a preschool, in early childhood education in some states. In other states, they require a minimum of a bachelor’s degree for any teaching position even at the ECE level. Once you complete a bachelor’s degree, you can work as a certified teacher in a state school system or in private schools. A new trend is also emerging in teaching consultants for which you will also be qualified. If you have enough experience, you could become the director of ECE programs in child care facilities and daycare centers. An initial state certificate is part of the license entrance requirement or used as continuing development in some states. Certificate participants must have some ECE training, work experience, and some college credits in early childhood education to apply. Many states also require continuing education certificates and course completion to maintain a state license to be able to continue to teach in early childhood education. You might pursue a variety of subjects, such as child care administration, child care program development or early childhood leadership. These certificates will help improve your skill set, and it will lead to better pay and more opportunities. To become a qualified teacher, states require that you pass a variety of examinations and licensures. Praxis offers national exams that most states use for certification. The tests will assess the skills of prospective educators, such as math, reading, and writing. They will also measure the content knowledge of any teacher about to enter a program for teacher preparation. Additional skills examined include specific subjects for elementary teachers. It is important to note that each state will have their own set of licensing and state certification processes. The state also determines the scoring requirements for Praxis exams in their individual state. Childcare facility directors are responsible for the overall direction and operations of the facility programs. These professionals must lead their team and supervise individual and program performance. They must develop plans for each program, create policies, communicate with children and their parents, and oversee each day’s activities. Directors will also be responsible for budget preparation, the allocation of funds, hiring and training, and answering to the owner of the facility. A teacher’s assistant (aka a teacher’s aide), can be found at all levels of education from elementary to college. Much of the role of the teacher assistant is to take on the menial tasks of a teacher that are time-consuming yet of the utmost importance to provide a successful educational experience. These tasks might include preparing classroom materials, providing instructions to a small group, taking attendance, grading exams and papers, and assisting students when they struggle. The teacher’s assistant will help to keep the classroom goals on task, and could be responsible for working with kids in the class with developmental struggles or kids with disabilities. Teachers’ assistants might be students at a college or university who are studying to become a teacher; however, they can also be anyone with a love of helping children learn as a way to better their future. Preschool teachers are the stepping stone for children to be able to transition into kindergarten with ease. They will be responsible for children under the age of five. Preschool teachers will focus on the basics so that children are prepared to enter kindergarten at the same level as everyone else. These basics include colors, shapes, numbers, letters, counting, encouraging creativity, and also helping to establish a foundation of social behavior. This might include group learning lessons, neutralizing tantrums, teaching how to stand in line and being quiet during story time. Keep in mind these individuals will also be required to provide some childcare, including tying shoes, helping in the bathroom, and wiping noses. Some of the larger responsibilities of these teachers include: social skill development, language skill development, plan learning activities, and monitor emotional or developmental issues. A kindergarten teacher has the unique opportunity to shape the way in which children view their educational experience because kindergarten is a child’s initial exposure to a proper school setting. Kindergarten usually includes young students ages five and six. Kindergarten teachers will begin to incorporate music, art, literature and social sciences at a highly basic level and work to promote the development of mental, physical, and social skills and teach personal hygiene and good behavior. The teacher is also responsible for determining the right curriculum for the entire class based on where each child is at from an emotional maturity standpoint and their academic standings. Kindergarten classes vary from state to state and town to town. Some classes are either only in the morning, in the afternoon or all day depending on the school district. The school may also go year-round or have summers off from school. An elementary teacher within early childhood education will typically teach students between the ages of six and eight. This will change from school district to school district. Some districts classify elementary as kindergarten through fifth grade; other schools consider elementary to last through eighth grade. These teachers begin to incorporate proper school subjects, and most will only teach one class in one grade. These teachers will begin to grade papers, create lesson plans in accordance with curriculum requirements and meet with parents a few times a year. They’ll continue to work on emotional, social, behavioral and physical development and will focus on study techniques, incorporate new learning tools and begin to assign homework. Elementary school teachers have a profound challenge in that all students will be in various phases of development, both emotionally and academically. They must create and adapt educational methodologies to ensure each student learns as much as possible despite their varying levels of comprehension and retention. Special education teachers are becoming more in demand as more early education employers create positions for children with special needs as studies have proven that early intervention is essential for enhanced long-term development. Special needs children include a wide array of special needs types. Some such needs might include autism, physical disabilities, learning disabilities, emotional development concerns, and mental health challenges. These children require more attention than a mainstream classroom is able to provide. The teacher to student ratio in a special education classroom is typically significantly less than other classes. And each special need classroom may vary on the level of disability, from minor to extreme. Special education teachers might also work with just one specific type of need or all of them. These teachers help to develop basic skills of a wide variety depending on the level of need. Some teachers may assist with alternative communication techniques; whereas, others may focus on reading and writing. Some students will stay in special education programs for the duration of their academic career; whereas, others might join the traditional classroom after a period of time. A preschool administrator might be a director or a principal depending upon the type of employer; whereas, an elementary administrator is most commonly the principal of the school. These individuals are responsible for the management of programs and schools. They will manage the teachers, coordinate curriculums, plan school activities, manage the budget, organize workshops for staff, coordinate security plans, and ensure the environment for learning is safe and productive. Early education educators have the option of working in many various environments, from the home of a family to a government-funded education center. People who work for a family will most likely work in their home. Individuals might be hired as a care worker; however, it is also possible to be hired as an at-home school teacher for the family. Public schools are funded by the government and taxpayers. Major decisions that affect the school district are often determined by an elected body called the school board. Often times, a public school is the only educational option easily available to teachers for employment. A private school is not funded by the government, but rather these schools are financed through tuition paid for by the parents of students and donations. In most cases, private schools have a more advanced and demanding curriculum than public schools. The classrooms typically have a smaller teacher to student ratio and the teachers may be paid more than in a public school. It is also important to note that they may have higher expectations for student performance. The job duties of early childhood educators are critical to the educational development of children. While the roles may change slightly between employers, the basic tasks and expected job performances are similar. The teacher will be responsible for creating a safe environment, monitoring developmental needs, leading by example, teaching children societal expectations of behavior, guiding emotional development, planning activities, and assisting with socialization and appropriate play. At all levels, early childhood educators incorporate activities that promote basic skills, such as reading, math, and science. Teachers help to build self-esteem, establish routines, supervise the children, and integrate special needs students when possible. They must be authoritative figures with the ability to enforce disciplinary action within the policies of their employer. They’ll meet with the parents at least a few times a year to review progress and areas for improvement and they must meet curriculum criteria and the expectations of their direct supervisors in order to receive job incentives or pay raises. The skills and qualifications required to become an early childhood educator will depend on the state and employer. Most schools require a bachelor’s degree to teach children as a preschool or primary teacher. A childcare worker may not require any certifications or degrees; however, some parents may require a bachelor’s degree for higher paying jobs. A teacher’s assistant will often require an associate’s degree, work experience, or that you be a current student studying to become a teacher. Some schools may also accept volunteers. Special needs early education teachers require a minimum of a bachelor’s degree and state certification; some states require a master’s degree due to the uniqueness of each child. The necessary skills of an early childhood educator are often somewhat different than educators who work with older students. Most of these teaching professions involve working with kids who are learning concepts and skills for the first time. Essentially, they do not know any better. Teachers must be patient, engage with students, listen, entertain, energize, generate interest, adapt, be flexible, and have determination and perseverance. These professionals must also be able to leave their personal lives at the door, manage behavioral problems, do what is best for the student rather than what is easiest, follow the rules of the employer, communicate exceptionally well, and be relatable. They will have to work, not only with their students, but also with parents, other teachers, and administrators. If you have a passion for working with young children and want to become an educator, check out the steps necessary to advance your teaching career.